The Germans do it with public money and labelling. The Americans do it with private capital and asset-backed securitisation. The Emirati’s do it with education and information. A recent expert debate at the World Future Energy Summit in Abu Dhabi made it clear that stepping up energy efficiency is crucially important – but that there is no-one-size-fits-all solution. Hopkins, who is Director of International Energy Efficiency at the United Nations Foundation, a charity sponsored by CNN-founder Ted Turner, meant that there is no way we can make a transition to a low-carbon future if we let our energy use grow in tandem with economic growth. Renewable energy could never deliver the bulk of our energy supply in such a scenario. What is needed is a decoupling of economic growth and energy use. This implies that behind the rather tame and boring term “energy efficiency” lies the pursuit of a veritable transformation in the way our economies use energy. This also explains why “energy efficiency” cannot be reduced to a simple solution or proposition. It subsumes a set of different programmes, policies and technologies that have to be implemented in a wide range of different economic and cultural environments. It truly represents a new way of life for people all over the world. Small wonder, then, that if you put a bunch of experts from around the world in one room to talk about how energy efficiency can be improved – as was done in Abu Dhabi – you get some very different perspectives and ideas. So what were some of the approaches and solutions the experts came up with? 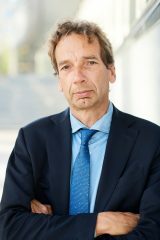 Christian Krämer, Head of the Federal and European Affairs Department of the German state-owned investment bank KfW, explained “the German way” of energy efficiency. In Germany energy efficiency is very much a “public” program. KfW’s program has had an unanticipated effect: it has led to the emergence of a nationwide “energy efficiency brand” for the housing market in Germany. KfW is not involved in direct financing, Krämer explained, but it channels public money to private banks who then loan it to customers for specific purposes. 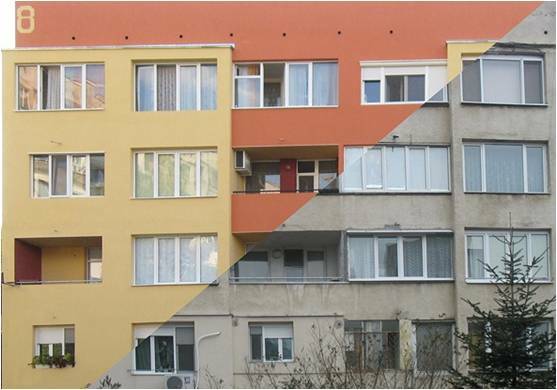 One of the programs run by KfW promotes the retrofitting of residential buildings. According to Krämer this initiative has been very successful. It has leveraged considerable investment in energy efficiency measures and has had a very positive effect on employment, he said. In 2012, KfW loaned €1.4 billion of public money to private banks for the retrofitting program. The banks then leveraged this to €10 billion in customer loans. This in turn generated €27 billion in spending in the housing sector. As much of the work is carried out by local craftsmen, this spending creates a lot of jobs: 340,000 in 2012, said Krämer. The US approach to energy efficiency is quite different from the German one, as Bruce Schlein, Director Corporate Sustainability of Citigroup made clear in his presentation. It is more based on private capital. Schlein explained how Citigroup is trying to harness the private capital markets to support energy efficiency investment. The problem for investors who want to get involved in the energy efficiency market, said Schlein, is that it is highly fragmented. Projects are all property-based and from a financial perspective there are many different types of property. “You can’t just take a bunch of different properties and put them together”, said Schlein. To solve this problem, Citigroup has organised properties with similar characteristics into “asset classes”. For each of those asset classes, it offers what are called “warehouse facilities” (this is a type of credit line) that provide loans for energy efficiency projects and that investors can participate in. “Yesterday we closed the first $100 million warehouse facility”, Schlein announced – a package of single-family residential loans. With the help of this form of “asset-backed securitisation”, Citigroup hopes to be able to bring the many local energy efficiency initiatives in the US to the scale that is needed for capital markets to invest in. Citie has called its financial programme for energy efficiency and infastructure Citi for Cities. Of course in the US there are also many financing schemes in which government agencies are involved. In the United Arab Emirates (UAE) energy efficiency arguably does not yet have the same urgency as in countries like the US and Germany. Energy costs are relatively low, in part due to subsidies, so there are no strong pricing incentives. Yet even in such an environment, great energy savings can be made, said Ramiz Alaileh, the director of a program called Powerwise, which is part of the UAE’s independent power regulator. Alaileh described the results of an experiment in which 400 households were provided with “education and information” about saving energy – as well as with price incentives. They had to pay double the rate at peak hours and got a 40% discount on their energy bills at non-peak hours. They were also given smart meters with displays to monitor their energy consumption. A control group of 200 persons was used to validate the results. We demonstrated that even newly built high-rises could save 16% energy with very limited investment. The outcome of the experiment was rather remarkable, said Alaileh: peak demand was reduced 17.5% – but off-peak demand also saw a large decrease. Overal power use was down 16.8%. There was no significant impact on load redistribution. In other words, the households appeared to react strongly to the education and information they were given, but not to the pricing signal. This may of course be due to the characteristics of the households that took part. In any case, as Alaileh put it, “education and information has a huge potential to save energy in Abu Dhabi”. It surely is not the only place in the world where this is so. If households are not always sufficiently aware of the opportunties to save energy, surely for businesses energy efficiency should be a no-brainer. Benoit Dubarle, Country President in the UAE for the French energy management specialist Schneider Electric (140,000 employees), explained how his company had helped reduce energy consumption in some of the many new high-rises that are shooting up all over Abu Dhabi. Dubarle described some of the technologies Schneider used in this example. First smart meters: “When you measure, you treasure”, said Dubarle. “When people are aware of the costs, they will save.” Next, Schneider implemented smart devices to control energy use of the cooling systems – the biggest energy consumer in the climate of the UAE. Then they introduced a “smart lighting” system. Finally, they connected the buildings to “a cloud” – that is, an energy management platform that the operator of the building can use to finetune energy consumption. Dubarle noted that “when you save 1 kilowatt on the demand side, you save 3 kilowatts on the generation side, so you can reduce your investment in generation capacity significantly”. David Walker, CEO of DNV-GL Energy, connected the various dots by outlining the four main areas that need to be worked on to achieve a real transformation in energy efficiency: regulation, education and behaviour, market and financing models, and technology and innovation. Needless to say, these areas interact with each other in various ways. Walker stressed the importance of leadership, both among policymakers, who need to put in place the “carrots and sticks” to drive energy efficiency forward, and among businessmen, who have to drive energy saving in their companies. He mentioned the example of an “international hotel chain of 3000 buildings” for which DNV-GL has carried out an energy savings program that led to “significant savings”. Such an effort not only saves the company money, it also “ticks the box of corporate responbility”, said Walker. The world has seen a steady improvement of energy efficiency over many decades, but essentially at the same basic rate. Surely this is a significant point. As moderator Mark Hopkins of the UN Foundation pointed out, the world has seen a steady improvement of energy efficiency over many decades, but essentially at the same basic rate. The task his organisation has set itself is to “double the global rate of energy efficiency by 2030”. It’s what the world needs, he said, if it is also to achieve the other two key targets of the UN: to double the amount of renewable energy in 2030 as well as to provide universal access to affordable energy. In short, when it comes to energy efficiency, business-as-usual is not an option. Nor is some miracle cure to be expected. The fight for energy saving has to be fought on all fronts in many different ways. This article has been published first at the DNV-GL Energy Blog. Thanks for your article which gives insights into the different approaches. We believe that energy efficiency measures yield significant potential with regard to both financial saving and CO2 reductions. However, actual investment volumes in energy efficiency are low due to the perceived risk profile of such investments. We propose a rating or certification mechanism to ensure calculated savings and a hedging mechanism to reduce risks from volatile energy prices. Based on this a privately organized energy efficiency investment fund could finance and thus enable a by far larger volume of energy efficiency measures.